My colleague told me that there is a newly open hotel - Parc Sovereign Hotel Tyrwhitt near Lavender MRT station. The hotel is having special opening promotion with superior room starting from S$118++ till Sep14 and includes free upgrade to the deluxe double room and wifi. There is seldom hotel rooms in Singapore which cost less than S$200 hence I decided to book a weekend staycation for our dating anniversary after browsing through the hotel facebook photos. I google and discovered that this hotel actually belongs to the Fragrance Group. We reached the hotel at around 4pm after having our late lunch although the check in time is 3pm. There is complimentary parking for hotel guests but parking lots are quite limited. Checking in is a breeze as there are 3 staff manning the counter. As I have forgotten to bring my camera, all the photos are taken using iphone 5. There is a restaurant in the hotel but it was not yet open for business when we were there. There are 6 floors in the hotel and there are 3 lifts serving the guests. I was disappointed after checking into the room as it was not as big as seen in the photo, probably it's the angle which the facebook photo was taken. The bathroom is very small and the shower area can only accommodate one person. There is a swing in the balcony but there is no great view as it's block by the shophouses surrounding the hotel. We took a short nap after watching the movie Rise of the guardian. Before heading out for dinner, we went to the attic level to check out the gym and swimming pool. Both are open until 10pm. The gym is very small with 3 equipment in the room. We had dinner at Hana Hana restaurant (Add: 1 Tras Link, #01-17 Orchid Hotel) which is also open by Teppei and is just next door. Hana Hana serves yakitori omakase and only accept walk in customers. The restaurant is very compact and can only house around 12 customers. 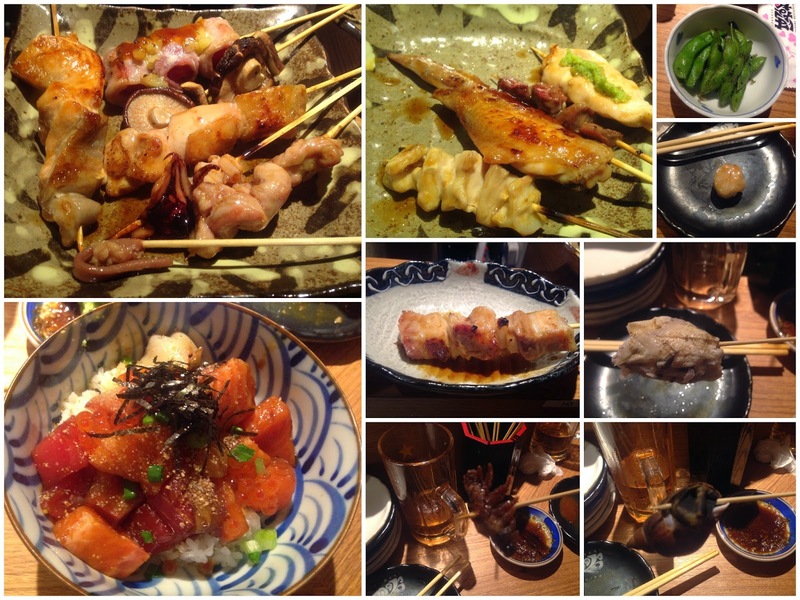 The yakitori omakase has a variety of $40, $50 and $60 which comes with 8, 10 and 12 sticks respectively which is decided by the chef and a main course. We ordered one $50 yakitori omakase which comes with the the main course - bara chirashi don, a stick of scallop and a stick of pork belly and 2 glasses of beer. Actually for the omakase, there are more than 10 sticks served as sticks such as rooster comb, snails, chicken wind pipe are not part of the 10 sticks. Although the check out time is 12pm, we checked out in the morning and went for our breakfast. I went up to the attic to take photos of the swimming pool as it was dark when we went up last night. Hubby and I were quite disappointed with this hotel as we have high expectation from our past staycations.